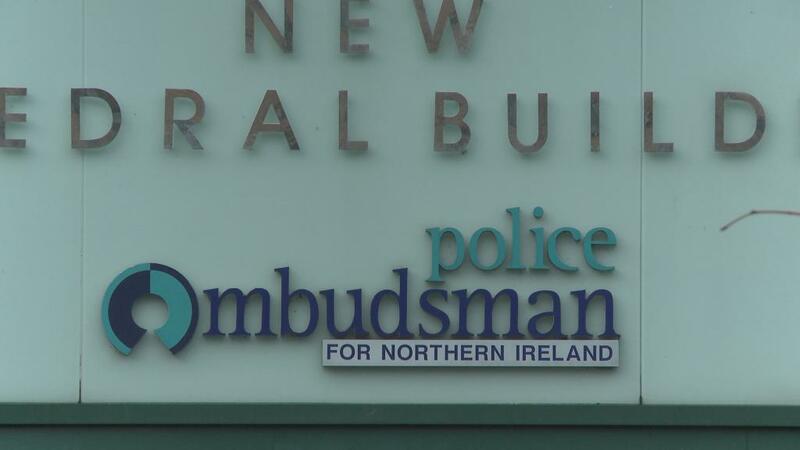 THE temporary replacement for Northern Ireland’s Police Ombudsman may not have the legal powers to recommend prosecution against police officers when he takes over at the end of this month, the Detail has learned. The high profile police watchdog’s office has become embroiled in even more controversy just months after the current ombudsman – Al Hutchinson – announced that he would step down at the end of January following a series of damning revelations about his leadership. A temporary replacement for Mr Hutchinson is expected to be announced today. The organisation has been left with a substantial leadership gap by the crisis and other pressures: at present five of the eight permanent directors’ posts within OPONI remain unfilled. A temporary stand-in will be asked to take over the running of the office while the search for Mr Hutchinson’s replacement gets underway later this month. That process could take anything up to six months, with the successful applicant having to undergo a detailed government vetting process to be allowed security clearance to top secret intelligence. It is also expected that the successful applicant to the post, which carries a salary of £128,000, would normally have to give his or her current employer between three to six months notice. However former Police Ombudsman Chief Executive Sam Pollock has expressed concern that any delay in appointing a new Ombudsman could lead to a situation in which an interim ombudsman will be unable to recommend prosecutions against police officers and will also be unable to publish OPONI reports. In April 2011 Mr Pollock resigned as OPONI Chief Executive, citing a lowering of operational independence within the office and undue interference on its work from elements within the Northern Ireland Office. The resignation led to two highly critical investigations into OPONI which pressurised Mr Hutchinson into agreeing to depart from the post early. An Police Ombudsman spokesman confirmed to the Detail that Mr Hutchinson is due to hand over power to an interim chief executive at the end of the month. However, while it is understood the interim executive will have the power to manage the day-to-day running of OPONI, its former chief executive San Pollock has raised concerns over the temporary stand-in’s lack of effective powers to recommend prosecution of PSNI officers. “There are situations where the legislation requires the ombudsman to make a determination or judgement that would affect a policeman, for example who is recommending for prosecution or discipline,” said Mr Pollock. “In my view that would be subject to challenge if that decision was made by anyone other than the ombudsman. “The legislation is very specific; the recommendation of prosecution or discipline to me would have to be delayed. “Also the publishing of reports should normally be done by the ombudsman in person. Mr Pollock insisted that there should be no issue with a temporary stand-in running OPONI on a day-to-day basis while the appointment of a new ombudsman takes place. An ombudsman spokesman refused to comment on the possibility that an interim chief executive could face legal challenge if they recommended the prosecution or discipline of a police officer. “It is Mr Hutchinson’s intention to transfer the functions of his role as Police Ombudsman to an interim Chief Executive at the end of this month. The Detail understands that OPONI has already sought legal advice on whether or not an interim chief executive will have the full legal powers of an ombudsman. OPONI is not due to receive the outcome of that legal advice until later this week. However a major question mark over leadership at the ombudsman’s office remains. At present five of the eight permanent directors’ posts within OPONI remain unfilled. In April 2011 Mr Pollock announced his resignation. In September Mr Hutchinson announced he was also quitting his post six months ahead of schedule. In October then Senior Director of Investigations Jim Coupland also resigned from the ombudsman’s office. Mr Coupland, who had been on long term sick leave from the ombudsman’s office for more than a year, had been criticised by both investigations into OPONI. Applicants have until January 20 to apply to become the next Police Ombudsman.